Just go outside and Look Up Tonight! The International Space Station visible over Southern California for the next few nights. 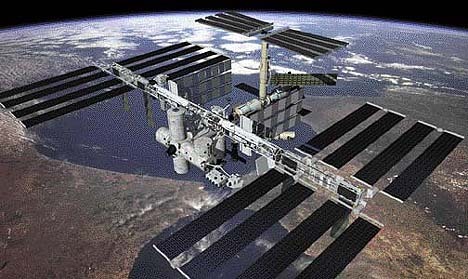 The International Space Station will be visible in the skys above southern California for the next four nights. It will be visible as one of the brightest (mostly the brightest) star-like object in the sky as it passes approx 200 miles overhead at over 17000 mph. The table below gives a lot of information about each visible pass including when and where to look. This entry was posted in Man-made Satellites and tagged International Space Station, ISS by liam. Bookmark the permalink.